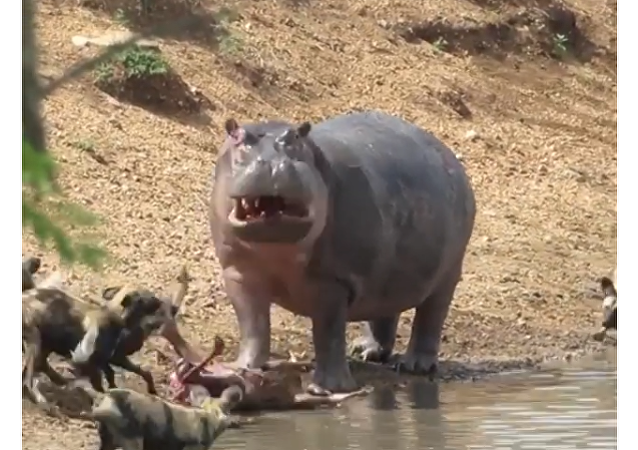 Tourists who paid a visit to the South African Kruger National Park witnessed both the horrible and heroic scene of a massive hippo seemingly helping a kudu antelope, defending it against African hunting dogs. 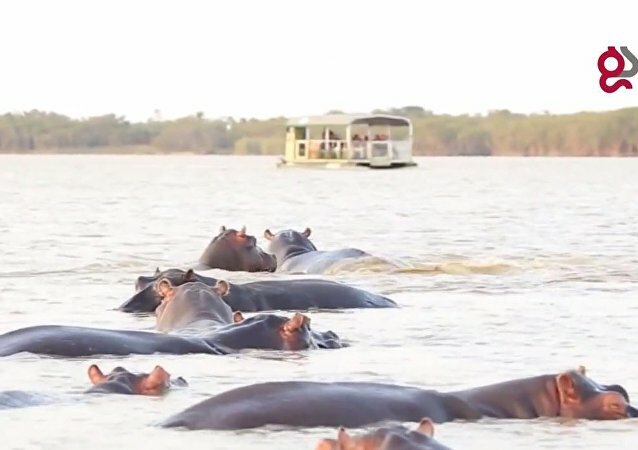 On Saturday, one Taiwanese tourist was killed and another injured by a hippopotamus after the pair approached the animal to take photos near Lake Naivasha, a freshwater lake in Kenya. They say a mother will do anything for her child, even if it means putting herself in harm's way. This elephant exceeded even those expectations. 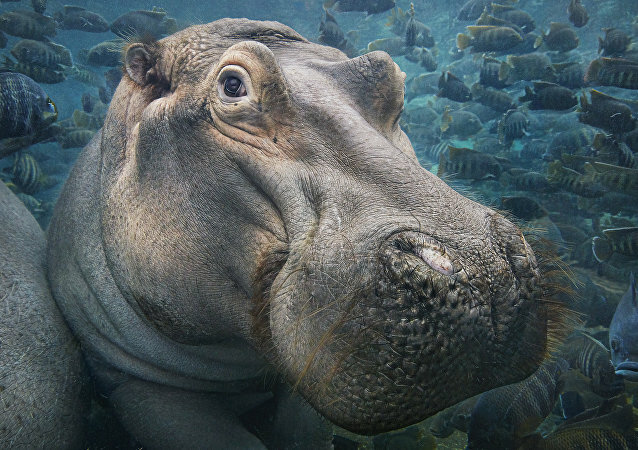 Remember Fiona, the cutest Nile hippopotamus at the Cincinnati Zoo and Botanical Garden? Here she is, exploring an outdoor pool together with her parents for the first time! Fiona, the Nile hippo, was born at the Cincinnati Zoo and Botanical Garden 6 weeks earlier than expected. She was very weak and required 24-hour attention, but thanks to her care team, she is now strong and healthy! 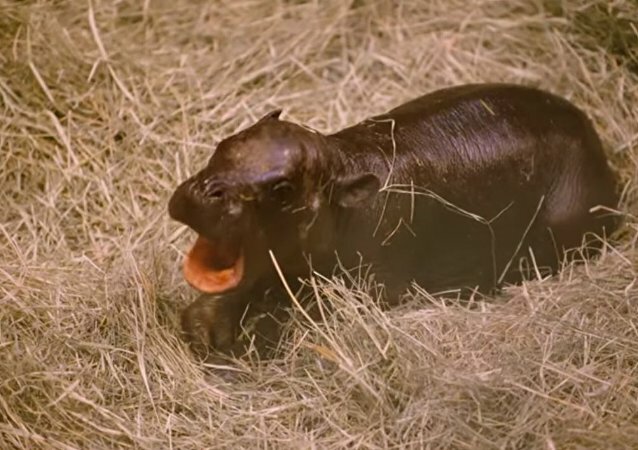 Watch this super cute hippopotamus calf splashing in her little exercise pool. The first surviving hippo birth at the San Diego Zoo in more than a decade. This shark chose the wrong creatures to mess with. 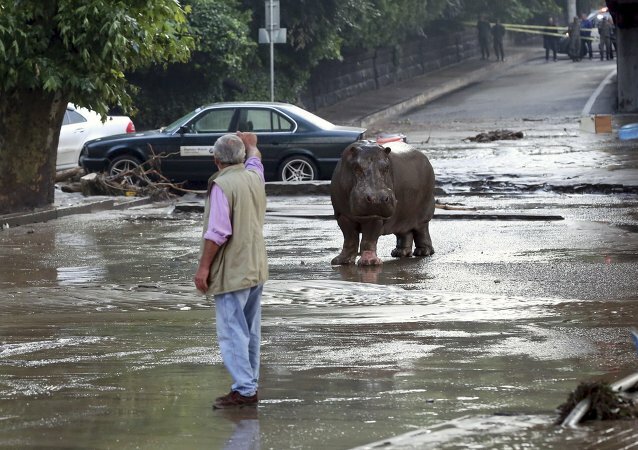 The horrible flood in Tbilisi triggered even more trouble - it released dozens of carnivores into the streets of the city. 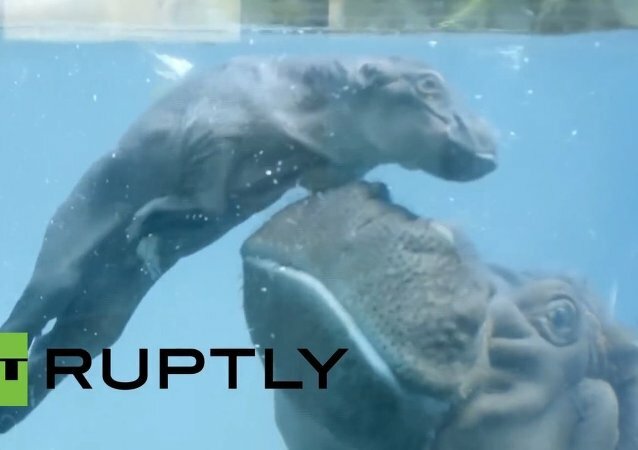 Baby hippo in San Diego Zoo practices swimming while assisted by his mother.